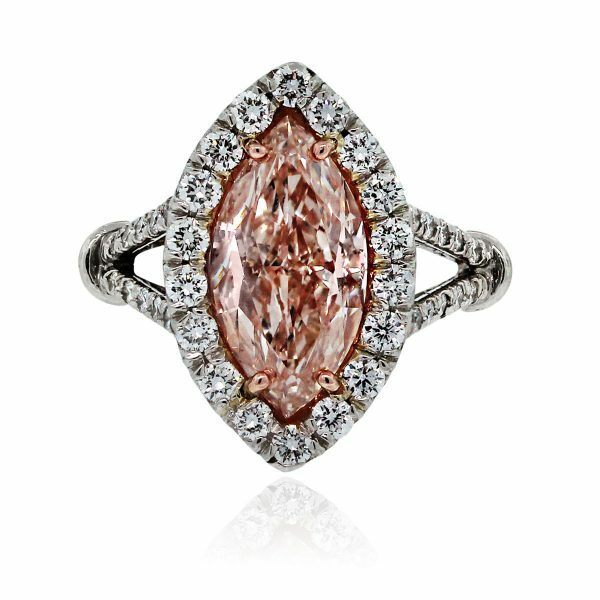 Find this Platinum GIA Certified 3ct Natural Fancy Light Pink Marquise Diamond Engagement Ring at Raymond Lee Jewelers in Boca Raton — Palm Beach County’s destination for engagement rings, men’s wedding bands, wedding bands for women and diamond rings. Mounting Diamond Details Approximately 0.74ctw of Round Brilliant Diamonds, Diamonds are G/H in color and VS in clarity. Categories: Diamond Engagement Rings, Engagement & Wedding | Raymond Lee Jewelers, Fancy Color Engagement Rings, Marquise Cut Engagement Rings. Tags: 18k gold, Marquise Cut Diamond, Marquise Diamond, Pink Diamond, Platinum, Rose Gold.